Be one with the elements when you are in your body and you will remain in equanimity with the nature. 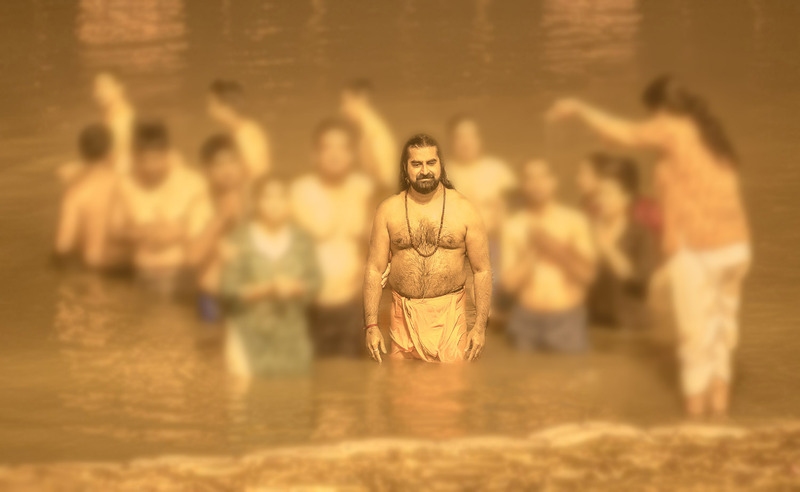 Atmananda Chaithanya was taking bath in a river with disciples. Standing completely naked facing the river, he was washing his few terrestrial possessions – a loincloth and a towel like cloth. He had nothing beyond that apart from a vessel and a small cloth bag. He usually tied the cloth around his waist. One of his five disciples who was next to him said to him, “Maharaj, others are watching you.” Atmananda turned around, looked and laughed, “To see what?” and as if to himself, muttered “Foolish people. Senses drag their mind and total slaves of senses. What can they see? 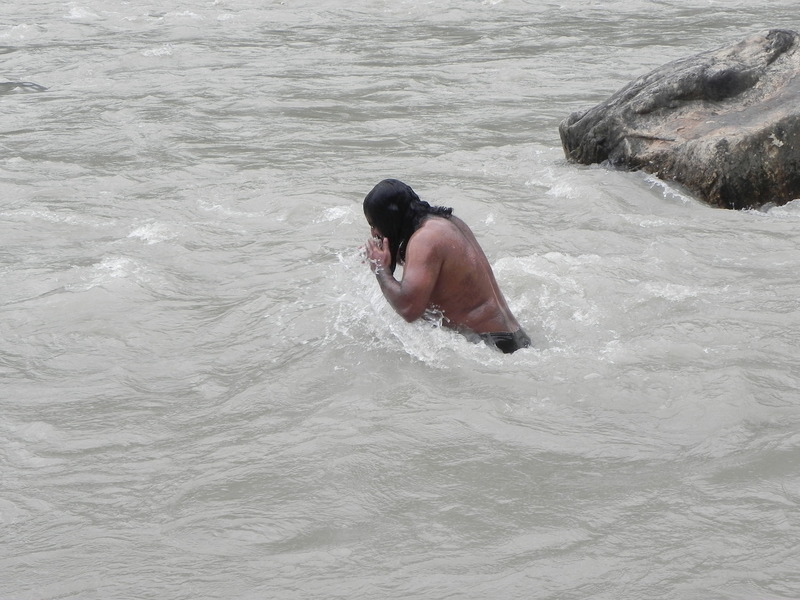 Nothing.” Unaffected, he washed his clothes, tied the wet clothes around his waist and climbed up to the river bank. He sat down on a stone, away from people facing the rising sun and meditated, totally absorbed and oblivious of the movements around him. Time went by. Atmamanda continued to meditate. The rock started to get hot. Atmananda was still absorbed in his state of Samadhi. His disciples stood around him until the external heat became unbearable and the fire of hunger started heating them from inside. Finally, one of the disciples named Panduranga gently came close to Atmananda and whispered in his right ear, “Deva, the rock is burning hot. It may affect your body. Please get up”. Slowly Atmananda opened his eyes and looked at his disciples struggling to stand barefooted next to him because of the heated up rocks upon which they were standing. 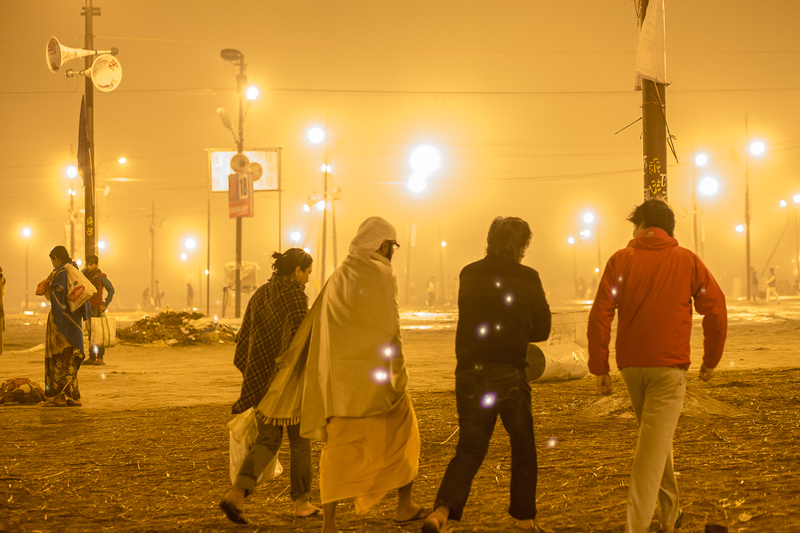 Atmananda was a wandering monk and the 5 disciples always moved with him. Many others came and joined his group and left him after some time. He never cared about who came and who left. When people came, he shared “food” with them. That was his only sign of approval of anyone’s company. No other approval or disapproval. He just flowed and others flowed with him in absolute faith and surrender. 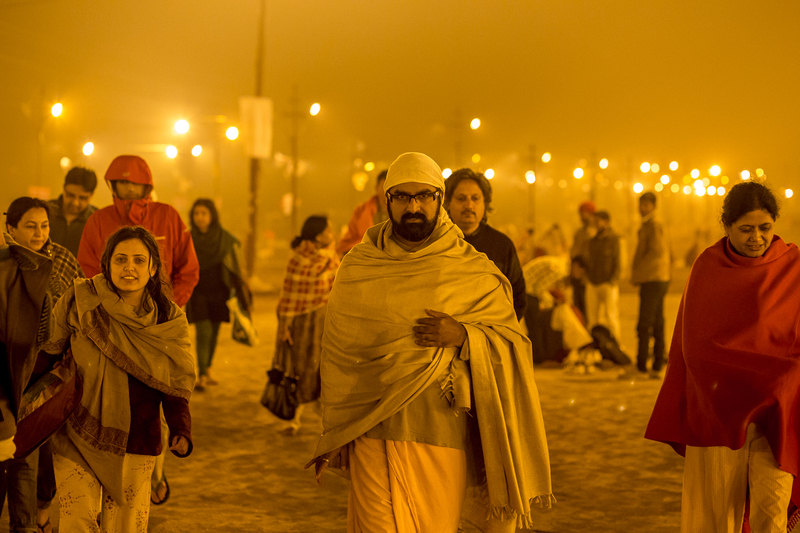 Atmananda was a wandering monk and the 5 disciples always moved with him. Once, while wandering, Atmananda was sitting at a village park. The park was in front of a row of shops and one among them was a sweet shop. Panduranga loved sweets and his eyes constantly wandered towards the decorated stalls displaying colorful sweets. Atmananda was sitting with his back towards the shops. Yet, he said, “When the eyes have focused with the mind on an object, the man is lost to temptations.” None, including Panduranga knew the depth or purpose of this statement and nor did Atmananda explain it in detail. And spontaneously, he took out some coins from his cloth sack and asked his disciple Aruna to fetch him some sweets from that shop. Aruna was surprised. 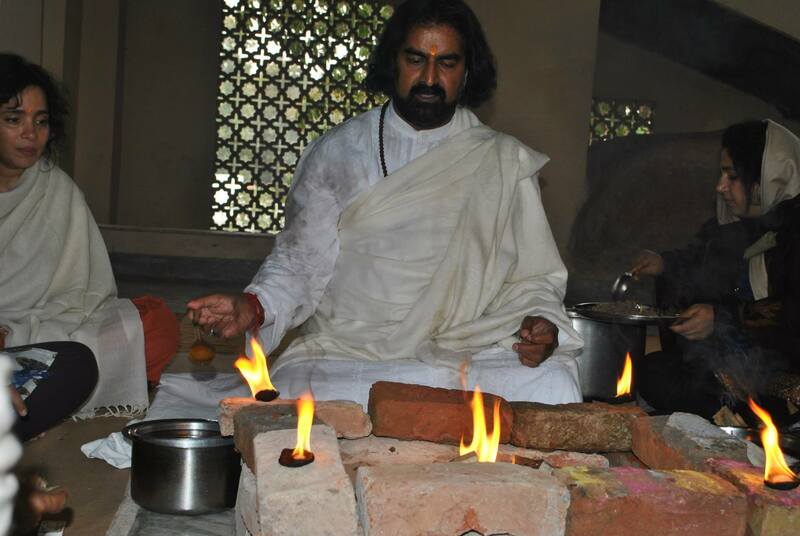 In his experience, he has never seen Gurudeva using money, especially for the sake of a sensory pleasure. Yet, he always never asked his Guru “WHY”, so he immediately got up and left for the shop while the others sat around the Guru. Aruna reached the shop and asked the shopkeeper to pack some sweets that he thought will suit his Gurudeva. The elderly shopkeeper was a very pious Brahmin. He saw the attire of his customer and presumed that Aruna is a wandering monk. While packing the sweets, he asked a few details about him and Aruna explained about himself and his Gurudeva in a few sentences, sufficient for the shopkeeper to get an idea. The shopkeeper handed over the sweets, which were more in quantity than the value of the money that Aruna had in hand. After receiving the packet, Aruna tried to give the shopkeeper the money, which was refused by the latter. He said, “Please allow me this opportunity to surrender my humble offerings at the feet of a great soul, your Gurudeva.” He called his teenaged granddaughter and asked her to handle the shop and set forth to meet the Guru along with Aruna. When Aruna and the shopkeeper came near the shade of the tree where Atmananda and his disciples were sitting, as soon as he saw Atmananda, a strange kind of recognition dawned in him and the shopkeeper prostrated at the feet of Atmananda in complete humility. He said, “Deva, my life is complete today. You are Lord Dattatreya Himself. I am ready to leave my life at your feet this moment”. Atmananda blessed him and said, “Rama, (His disciples were surprised that their Guru knew the name of this shopkeeper), two steps above and two steps below. One step in the center. This is all you have. When you leave the five steps, you will become me. Nine steps above and eight steps below. One step in the middle. When you complete the 18 steps, then you will become my father. I and my father are one.” Rama started crying like a baby. This is exactly what his Guru had taught him when he was a child. Atmananda’s disciples did not fully understand the meaning. Yet, they kept quiet. Atmananda hugged the sobbing Rama. Aruna and others had never seen their Guru involving so much with anyone. They were surprised and wanted to know their past connection. Yet, they were afraid to ask Atmananda. The show ended abruptly. Rama left. Aruna handed over the packet and the money that he could not spend to Atmananda and Atmananda immediately opened the parcel and started distributing the sweets to everyone except Panduranga. Panduranga was the one who craved for the sweets and he was the only one who got nothing! Panduranga craved in his mind at least for a crumb. Atmananda ignored him totally and did not even look at him. Atmananda and the four others completed the whole box. When Aruna tried to hand over one piece to Panduranga, Atmananda turned and said, “Yours for yourself.” (This statement was karmically perfect.) One of the disciples whom Atmananda called Kali had tremendous suppressed anger even like a volcano inside him. 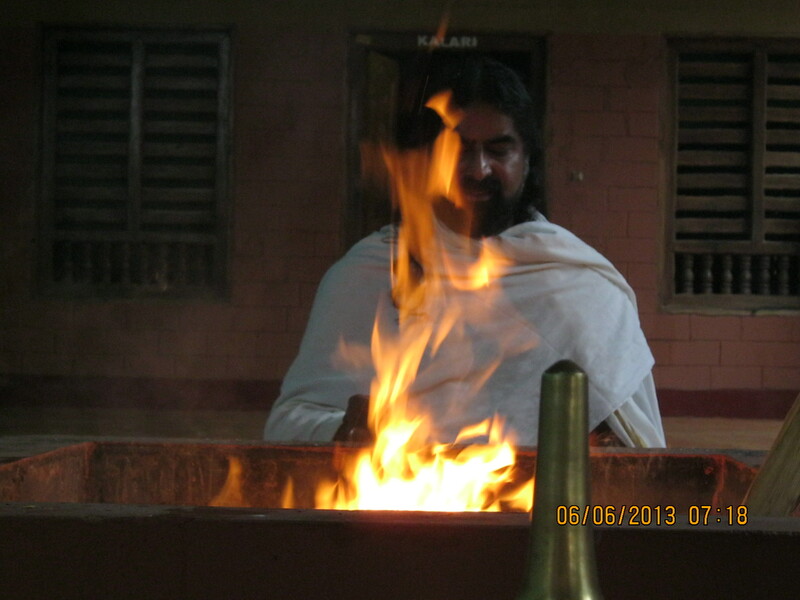 Atmananda kept him close to himself without permitting any eruption! He never liked sweets. Even he was given more and more. Only the one who wanted the most got nothing. None of the disciples understood the strange behavior pattern of Atmananda. But, since devotion towards their Gurudeva was absolute, they were never concerned about it. Yet, mind always wanted answers. Panduranga had joined Atmananda’s group when they visited a temple in the middle part of India. Panduranga had joined Atmananda’s group when they visited a temple in the middle part of India. When Panduranga met him for the first time ever, Atmananda looked at him and called his name. He said, “I have eight years and you have eight years. Come with me and go before me.” Panduranga, as if hypnotized by Atmananda, left what he was doing at the temple and followed Atmananda without even a spare cloth in his hand. His faith took root and grew into a giant banyan tree in moments. It became unshakeable in no time. As they walked out of the temple, a businessman came, prostrated at the feet of Atmananda and offered him two clothes, one for below the waist and one for above, a few coins and some fruit. He blessed the businessman, gave the clothes to Panduranga, kept the coins in his bag and distributed the fruits among his disciples. They travelled together just below eight years before they reached this place. They travelled through many parts of India. Atmananda taught them nothing specific. Yet, the disciples picked up many jewels of wisdom from the way he lived his life which transformed them day by day. Simplicity was his style and total unpredictability of the master kept them grounded in the present. This also helped them to stay fluid and flexible. Three days was the maximum Atmananda stayed at any place. At this place, near the river, Atmananda stayed for almost four days. Each day morning, the elderly shopkeeper brought fresh sweets and some food to Atmananda. And Atmananda distributed the sweets to everyone except Panduranga. Food he shared equally with everyone. And there was always sufficient to appease the hunger of all. They ate only one time a day, as true Yogis did. Regarding the distribution of sweets, this is not the first or second time such a distribution has happened. In the whole eight years they were together, Atmananda never gave a bit of sweets to the desiring disciple Panduranga. And it was not many times that they received sweets too, except sometimes from temples as offering, which everyone got, including Panduranga. But, his craving was for sweets of the sweet shop, the colorful ones. Panduranga was disappointed to his worst extent by the seeming discrimination of Atmananda. On the third day, Atmananda sent Aruna to the shop again early in the afternoon, with the same coins that he had given earlier to him. Aruna hesitated to accept the coins as he knew that the shopkeeper Rama would not accept them. Moreover, he has been delivering sweets and food to Atmananda and the group every morning without any cost. Yet, beloved Gurudeva’s words cannot be and should not be questioned. There has to be a higher purpose, behind his every words and actions. Aruna walked towards the shop. The shop was open and the elderly shopkeeper was missing. He called out, “Anyone inside?” The granddaughter of the shopkeeper came out. Aruna asked for her grandfather. She told him that all her relatives including him have gone for a wedding in the village. She also said that most of the sweets have been sold at the wedding to fulfill a commitment order from the bride’s family. The shop had very little sweets left. For a moment, Aruna admired the devotion of the elderly businessman whom Atmananda called Rama in offering fresh sweets to Atmananda that very morning despite his commitment to provide sweets for the wedding which was his business. He also wondered despite getting the regular quota of sweets in the morning and consuming them as before, why did Gurudeva send him back to the shop to buy more, and that too by paying money? Anyway, some questions need no answers. All you need is absolute faith beyond questions. And in the tradition, the question “WHY” itself signifies disconnection from one’s Guru and fall from the golden tradition of total nullification. “WHY” always happens out of mind, intellect and ego and never out of devotion. Aruna asked the girl at the shop to pack whatever was available, paid the money and left with the packet. The girl had no problem in accepting money. She looked at him just as another customer. 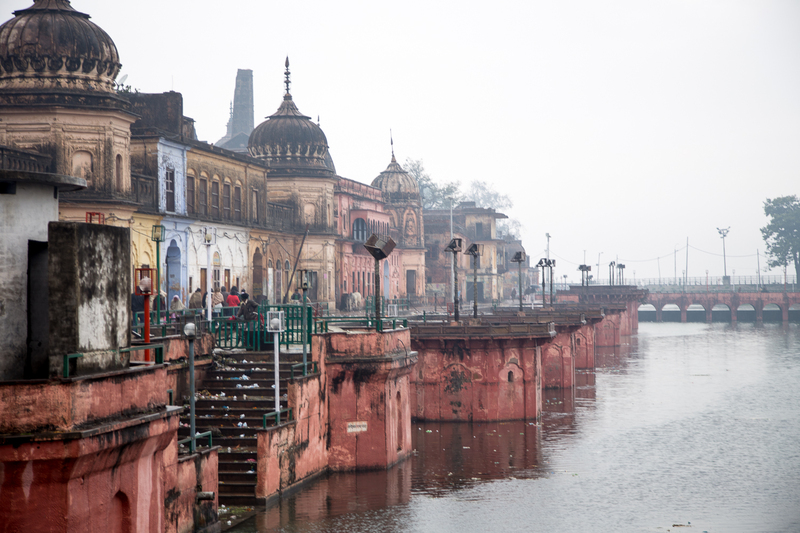 This was around 5PM, almost time for Atmananda and his disciples to go for their bath and evening meditations. When Aruna brought the box of sweets and handed it to Atmananda, he immediately transferred the full box of sweets to Panduranga and said, “It is all yours. No more desires unfulfilled”. Receiving this precious gift from his Gurudeva, Panduranga cried like a baby. He fell at the feet of Atmananda and begged his pardon for nurturing thoughts of hatred against his beloved guru. He apologized over and over again for considering him as partial and cruel. Atmananda smiled and said, “Have your sweets. It is all yours.” Panduranga ate a lot, and when he wanted to give some to others, most of them denied saying “you deserve the whole”. Panduranga was deeply satisfied. It was a feast for him. He could not eat it all. He ate almost half of the packet and saved the rest for another time! If you flow with time, time is your friend. If you do not, time is your foe. After the evening prayers, Atmananda called Panduranga and said, “If you flow with time, time is your friend. If you do not, time is your foe. Have you kept time? Now release time. Time cannot not be held by man. Only immortality can hold time. Remain Blessed. Be Immortal”. He asked Panduranga not to sleep that night and meditate facing the north. At the time of subtlety, the time of Brahma (Brahma Muhurtha), when they woke up, they saw Panduranga still meditating in lotus posture. When they tried to wake him, he fell backwards. His body had frozen. His soul had left! The elderly businessman Rama Shastri arranged for a proper funeral of Panduranga on the fourth day. At the funeral Atmananda said to Rama, “His only desire on earth was sweets. He had transcended all other desires. If this last desire was also fulfilled, he would have left his abode (body) much earlier. He had to serve me for 8 years and hence I kept him in his abode. Now, he has to leave ahead of me. His last wish is fulfilled and has attained immortality”. It was only then his disciples understood the reason behind this whole drama. Even though slightly perturbed with the dynamism of these events, when they were securing materials for the cremation of Panduranga, Aruna asked Rama, the elderly businessman, what Atmananda meant by “two steps above and two steps below. One step in the center. This is all you have. When you leave the five steps, you will come to me. Nine steps above and eight steps below. One step in the middle. When you complete the 18 steps, then you will become my father. I and my father are one”. “He also reminded me that in my path of complete dissolution, I have to travel 9 more steps. We are operating from the outside nature and our own inherent nature. Nature stays in various aspects. Every organ has its own nature. Nature of the eyes is different from that of ears. Likewise, every organ has its own unique nature. Every feeling has its own nature and flavor. Mind has its own nature. Each person has a different mindset. Likewise, intellect, ego, emotions, feelings, pain, happiness, have their own nature. Collectively each man has one unique nature. All of us base ourselves on this multiple nature as well as one nature. This is where we are progressing from – into the path of pathless. In our tradition, 18 signifies completion. Beginning from the first birth until the last body we ever take on earth, the total completion of various aspects of various lifetimes attains its ultimate completion when soul merges with the supreme Parabrahma. 18 also signifies our inclinations, various aspects of vasanas. We have to cross over even the minutest of Vasanas to attain Brahma. 18 is also 8+1 = 9. It also signifies Nine avatars of Maha Vishnu and then comes Kalki, Kalki being a state and phenomenon, it signifies the dissolution with the 10th. Ten = 1+0 which means one, unity or back to the original form. Thus, I may take another 9 births or with the grace of our beloved Bhagawan who has come as Guru to us, much lesser births. I am not worried. As long as I have His grace, I am ready to take another million births too.” Aruna admired the wisdom and understanding of this elderly businessman. He had truly recognized Atmananda. Exactly 8 months after this, Atmananda also left his body and thus fulfilled his initial words to Panduranga. Aruna and Kali were deeply interested to know about the shop keeper Rama Shastri’s Guru. While preparing for the cremation of Panduranga, Rama Shastri narrated. “Our Guru Maharaj Atmananda knows him. It is HIMSELF. Nobody knew his name. 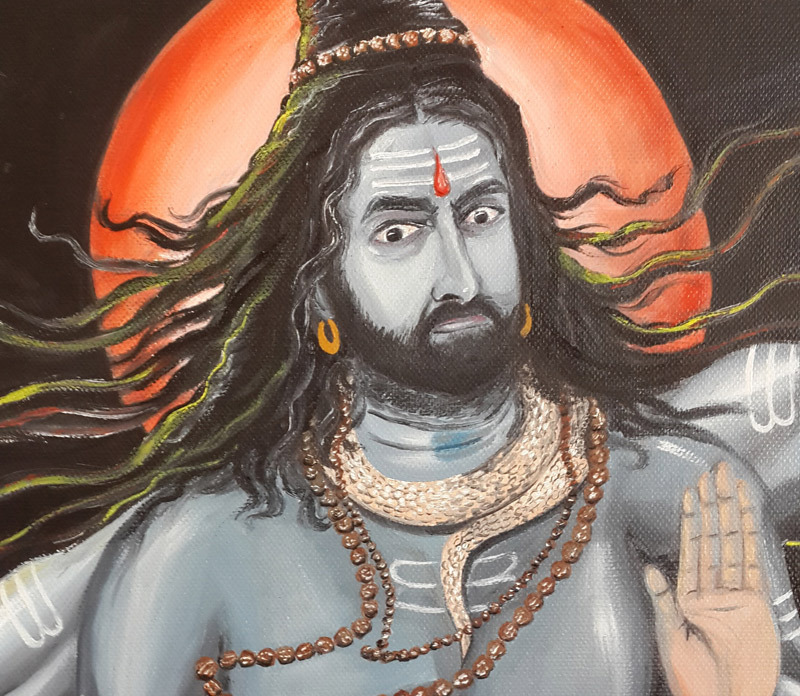 He was called Aghora Baba by the villagers because he was mostly naked and sometimes wore bizarre clothes on him. He used to carry a skull in his hand and people were afraid of him. He had many spiritual powers. He was not exactly my guru, as I was just a small boy of 5 or 6 years when he was walking on this land. I believe he left his physical body, some say he just disappeared along with his disciples, when I was 13 or 14 years old. One day he and his group just disappeared from this place. Nobody has seen them ever again. Physically our Gurudeva Atmananda is much younger to me. So, there is no way that he has seen Aghora Babaji. “If Babaji commands that the sun shall not rise again, the sun will obey. He is an avatar. Do not fear him. Worship him. He is our protector”. Babaji was my grandfather’s and also my father’s Guru. I was afraid of him and always avoided him whenever he was close by. He lived in this burial ground; people say that he brewed and drank alcohol, smoked and also slept with many women. There used to be almost 25 people with him all the time and many were women of various ages. His eyes always used to be blood red, and looked as if under the spell of alcohol. I even heard that he did many bizarre rituals in the night, where he performed fire ceremonies stark naked in the funeral fire. People say that they have seen him dancing in the fire too. He had a small thatched hut right here where he slept” He pointed at a space at the burial ground. My mother’s younger brother – my uncle – hated him. I have heard him telling my mother, “He is creating prostitutes here in our village. He sleeps with many women and all men and women do naked rituals in the night with him. He drinks alcohol and uses other intoxicants too. He is immoral. He should not be worshipped. Do you want our young Rama to follow these bizarre habits? You should make your husband and your father-in-law understand. He is not a good guru to be with.” And hearing all these, my mother used to get terribly worried. When I started recognizing Babaji, he was already perhaps in his 60s. He wore dreadlocks, a scar on his chest, unkempt hair and beard. I have often seen food particles stuck on his beard. Fierce eyes, a bit athletic in structure of his body and reasonably muscular – was his physical form. There used to be many women with him, and most of them wore saffron. And the men who walked with him also looked doped and almost always wore nothing except a shawl around them. This was a strange group. The way to my teacher’s house (gurukul) passed near this land – the burial ground of our village. I had to go via this way every day. No choice. I and my friends used to shiver in fear whenever we heard some sounds from here. 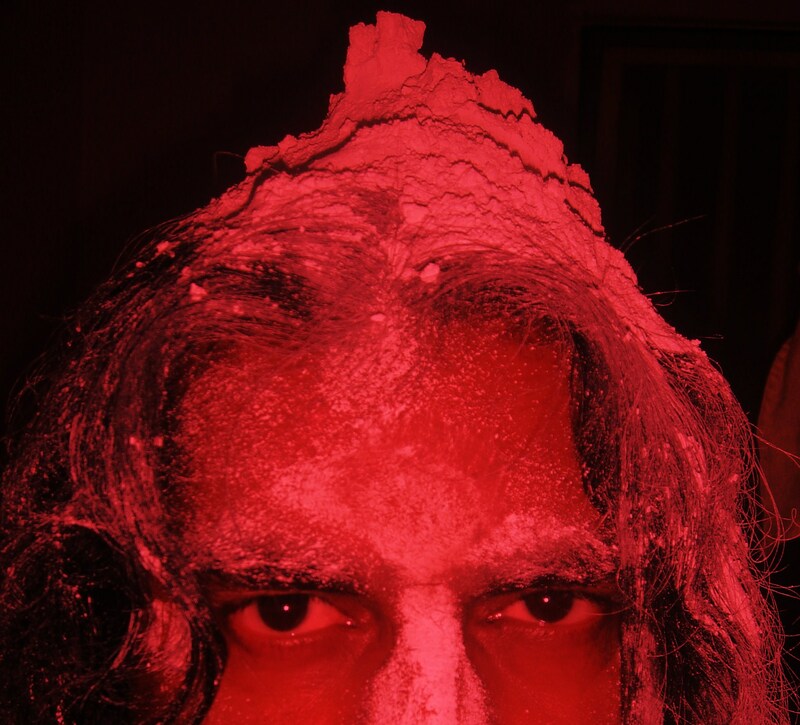 We used to have bad dreams about Babaji coming and killing all of us and eating our flesh. Later I realized that even my mother used to have such dreams, which I came to know when I overheard her explaining it to my father. My father laughed and said, “If Babaji commands that the sun shall not rise again, the sun will obey. He is an avatar. Do not fear him. Worship him. He is our protector”. “One day, I was perhaps 10 or 12 years of age, I and my friends were walking by the burial ground, we landed up right in front of Babaji. His bloodshot eyes made us shiver. One of my friends even relieved urine in his cloth. We tried to sneak past him. He said, “STOP”. We shivered and stopped. He was alone. He called me near him. With trembling knees, I went close to him. He gently took my hand with a lot of love and kindness and instead of the stench of unkempt body that I had expected considering his looks, it was the fragrance of celestial flowers that oozed out of him. His eyes penetrated me with compassion. I lost all my fears. 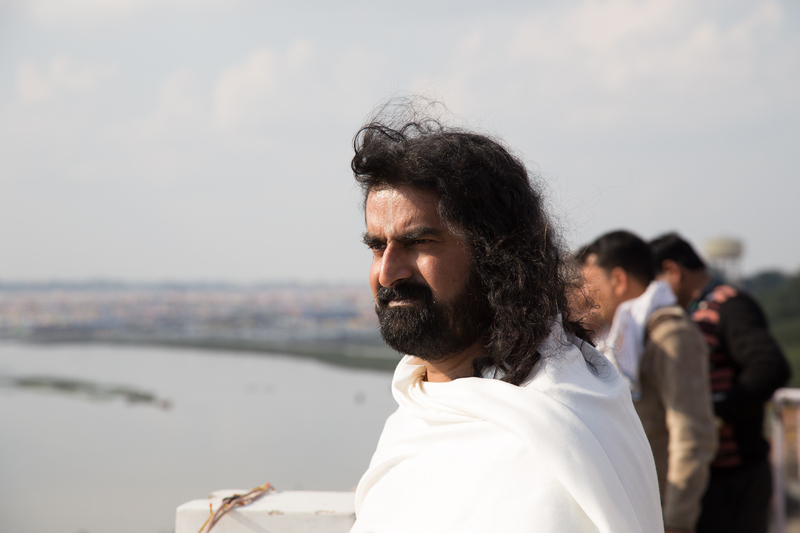 He held my hand and told me the same words our Gurudev told me – which you heard. Exactly the same words! “Rama, two steps above and two steps below. One step in the center. This is all you have. When you leave the five steps, you will become me. Nine steps above and eight steps below. One step in the middle. When you complete the 18 steps, then you will become my father. I and my father are one.” Even though I did not fully comprehend the meaning of these words, it stuck firmly in my memory. He made that possible. Now, I truly pity my uncle and others who criticized him and despised him publicly and privately. They missed the chance of many lifetimes. They were too absorbed in the superficial incompatibilities, pretentious morality and non-comformities based on their mental notions. They were in the cages of their own mind. Self-created cages of numerous conditioning. Babaji’s aim was perhaps to shatter these conditionings. Total ignorance made them miss it in this lifetime. When will they get another chance? I clearly understood from my father that if we cannot develop the eyes to see beyond the superficial obvious, we miss the opportunity. Especially with Lord Dattatreya, the supreme Parabrahma. The journey from being mankind to the state of a kind man is not difficult. Awareness is the key. Aghora Baba and Gurudeva are one and the same. He came back in this form to bless me and my family again and I got the good fortune of serving food to Him. Before my grandfather died, he had said, “Babaji will never leave your hand. He will watch over you through time. You will meet him again before you leave your body too.” I knew at the bottom of my heart it is true. I experienced the same fragrance when Gurudeva touched me. It is all one. All are verily Datta. Babaji came to destroy our concepts and mind and take us to higher awareness and now Gurudeva is doing the same. I understood that the bizarre lifestyle was to protect him as well as those who followed him. I even feel that the women and men who lived with him naked in the burial ground were not humans. They could be celestial beings. I believe this was Lord Datta and His followers enjoying a terrestrial existence, just like our Gurudev. The fragrance that emanated from his body was unmistakable and totally celestial. Jai Gurudeva Datta. I hope some day, I will have inner eyes to see the glory of my Lord and all the small doubts of my silly mind will vanish for good. It is never easy to understand a Datta Guru, unless they choose to reveal their true stature. In that way, I have not been lucky to see beyond the physical dimension. Unfortunately, our eyes can only see the superficial substance. But, I am satisfied with this confirmation that Babaji has appeared again to touch me and love me. My life is fulfilled. One more thing which you may already know. There were no sweets in our shop yesterday. We had taken everything for the marriage. What you bought had appeared miraculously which my granddaughter does not know. What she gave you happened there just because of the will of our Gurudeva. It was a miracle for sure. That way, what Panduranga consumed before his death were no ordinary sweets. They were celestial sweets. Such is the love of our tradition which provides for us to the minutest detail. All we need are eyes to see and a non-judgmental mind at all times”. When he said that Rama Shastri had tears in his eyes. Glory be to Lord Datta and His many avatars. Soul is one. Manifestations are many. When soul manifests in many, normal eyes will see it as many. This is the illusion that binds us and makes us suffer. This is the ignorance that stands as a tall wall between us and the supreme brahma. One soul manifests through all beings because each body helps a different experience. Take care of the sick, the old, the abused and the abandoned of all species. This will elevate your awareness. Let there be no gender and species differentiation in your mind. Lack of differentiation means Freedom! Soul is one. Manifestations are many. So inspiring and motivating. I now remember that when I read about Gajanan Maharaj of Shegaon, he too ate from thrown leaves and roamed naked. If he were today, many would label him as ‘mad’ and miss the presence of his divine being. Thankyou Gajanan Maharaj that you have entered my life early and now I do not use my mind that easily to judge others. OM SAI RAM! OM SHANTI, SHANTI, SHANTI! Such beneficial reading.took da tym off just to read.It so interesting I enjoyed every bit of it .Thank u 4 sharing ! Namasthe mohanji… Just few days ago i happened to reach this site.Im happy that another living master like you added to my life. Im suffering with hyperacidity and indigestion from two years since from my btech 3rd year. This health problems making me grow in awareness about god but all i wanted is just a healthy life since lord is the doer so i believe he will uplift me one day so im not in a hurry. I went to so many doctors but it is of no use to me. If possible kindly help me by your prayers since god is not responding to my prayers i need your recommendation as prayers. Few days ago i tried to enter into a forest to roam till i die just because, this problem making me a burden to my family since my digestion problems not allowing me do a job. Please Please Please help me im crying alone daily here in helplessness. Please Mohanji. i can give u just a suggestion as im devotee of shirdi sai..i can only sai u to do two thing..to solve ur problem..first pray to lord sai whole heartedly and read sai sathcharitra which u can get downloaded from net in pdf and complete it in 7 days and take baba udi every day with water..and with devotion too…it will help you…definately…and being an ayurvedic doctor i can say try panchkarma..u can google it..hope shirdi sai give u nice health..om sairam…..
Aghora Baba used to dance naked and be with naked women. People accused him of promoting prostitution and indulging in all kinds of bad habits but Aghora Baba represents “The Source ” and One who is the source Himself is beyond any expressions, impressions and cannot be put into any frame of morality. In fact with His own life, he was mocking at the fragile morality of the villagers, who wear masks of morality at convenience. Deep fear held them back from attacking the powerful Baba head on. This is also another mirror to the society. A challenge to be fearless! 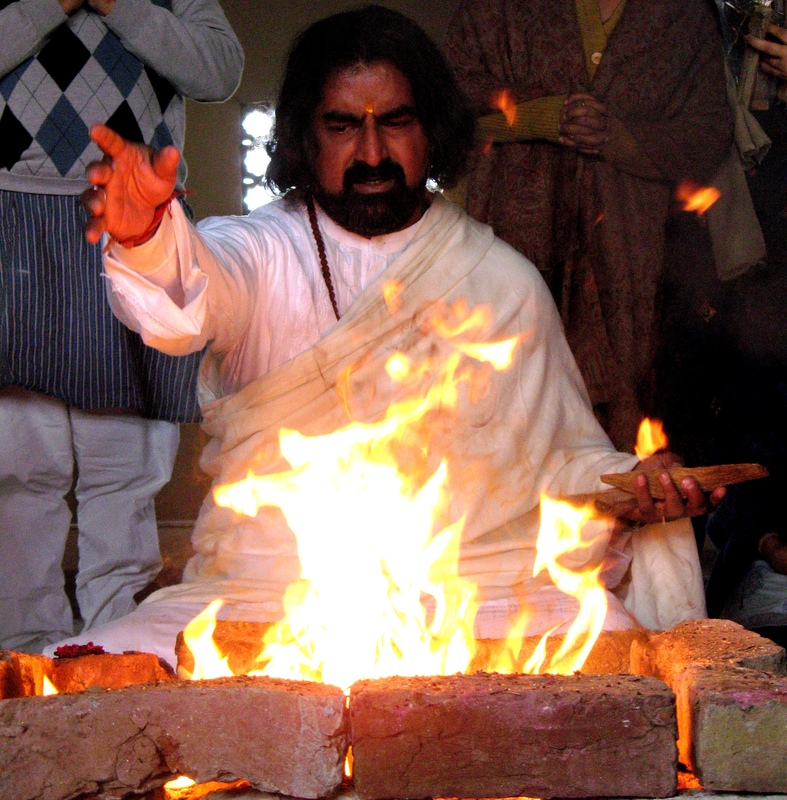 Living in burial ground, that too with His disciples, fire rituals in funeral fire, dancing in fire etc signifies, total denial of any norms and total control over fear of all kinds. Modern man my call it insanity. But, Babaji’s life is more of a bold statement towards the fragile, fearful and tamasic society. The Shopkeepers uncle represented mindset of those people who look at life in a superficial way, they judge people immediately based on outward appearances and habits. They never care to go beyond the deceptive outward appearances sometimes taken by Higher Entities to distract people. They lose heavily in life. Lots of Love Mohanji…Bless us to understand and Live in Love..Jai Guru Datta..